Over the last two decades, Hainan Airlines (HNA) has grown into an industry giant, its assets expanding from the petty start-up capital of ten million yuan to a business worth over 100 billion yuan. HNA is China’s first civil aviation company to be listed both on China’s A and B stock exchange. It is also listed on the Hong Kong stock exchange. Hainan Airline Group (HNA Group) is the dominant shareholder of HNA, with over five hundred companies under its umbrella that cover aviation, logistics, finance, tourism, and more. HNA Group is distinct from other major Chinese airlines by virtue of its plying multiple areas of business. As a comprehensive group, it frequently makes large-scale and aggressive acquisitions to promote its development. Recently, it failed in two acquisition attempts, a sign that the capital market has its reservations. At present, HNA is partnering with local governments on land loans, part of an ambitious plan code named Super X, to realize total assets in the trillions of yuan. "No one in China has really been able to read our mind,"HNA Group chairman Chen Feng has said on many occasions. True. The HNA Group’s strategy grows ever more complicated, a mystery reporters from the Southern Daily set out to unmask. HNA Group has a big appetite. Within the last three years it has splashed around at least ten million yuan in the domestic market making acquisitions that include the listed companies Jinhai Heavy Industry and Nine Dragons, as well as investing in supermarkets, property, insurance and other lines of business. HNA Group invests generously in the international market as well, purchasing 38 high-end commercial airliners, and then setting its sights on Malev Hungarian Airlines, Turkish Airlines, GE SeaCo, the high-end chain hotel Amanresorts International and others. These projects required dozens of billions of yuan. This is surprising if you consider the fact HNA Group is not as rich as it seems. According to a report they issued on December 1, 2011, it owned net assets worth 9.9 billion yuan by the end of 2010. Its total assets come to over 110 billion yuan, but it is also burdened with a heavy debt load of nearly 87 billion yuan and a debt ratio of approximately 78 percent. People couldn’t help wondering how HNA Group could afford such expensive acquisitions. Where did it get the money? HNA has been needy since birth. The Hainan government gave founder and chairman Chen Feng 10 million yuan in start-up capital in 1989; the sum was far from enough to buy even one airplane. HNA made itself into a legend, going from a little nobody to the competition, in league with the top three state-owned air lines. Financing was the only way for HNA to survive and thrive. At the early days, Chen Feng had to sell his vision of HNA’s infinite potential to the banking sector and private investors. It turned out the banks bought it and offered loans. Internationally profiled investor George Soros incorporated some of his cash into HNA too. Chen and his team explored multiple financing channels, and successively issued Hainan Airlines A-shares, B-shares and H-shares in the mid and late 1990s. HNA financed over 900 million yuan on the A share market in 1999. During a thrilling, turbulent, nation-wide reorganization process at the beginning of 21st century, the top management of HNA Group consolidated around a common mission– growth had to be sufficiently impressive, or they’d be "swallowed" by the bigger fish in this industry. HNA focused on acquisition; from August 2000 to July 2001 it purchased three regional air lines for two billion yuan: Chang’an, Xinhua and Shanxi. HNA was ruthless about its life-saving acquisitions at the time. 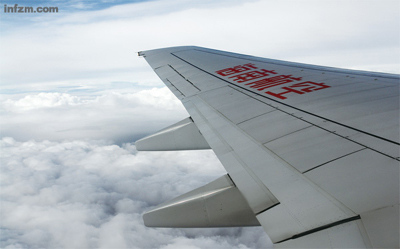 In the case of Xinhua Airlines, an insider disclosed, "China Eastern Airlines (CEA) was our competitor. When CEA was about to officially nail down their deal, HNA sent out a team of negotiators to thwart what seemed imminent. Overnight, the team got support for HNA’s offer from the top management of Xinhua, and eventually a controlling stake in the airline." The acquisitions saved HNA from being merged itself, and made it one of the top four airlines in China today. However, right after meeting the expensive purchase price, HNA Group ran headlong into the financial crisis of 2003. The sudden explosion of SARS disease became an event that HNA Group used to its advantage. The listed company HNA now had an excuse to save its parent company HNA Group. HNA announced huge losses (1.47 billion yuan) due to SARS and other factors in its 2003 Annual Report, and the extent of that loss was much greater than those reported by the other three major airlines. In 2005, the truth came out. China Securities Regulatory Commission disclosed that beneath HNA’s huge 2003 deficit was a bogus increase in losses of over 40 million yuan, and furthermore, a related transaction of over 440 million yuan with HNA Group had been concealed. Looking back on its style of business expansion, it’s revealed that the HNA Group tends to cushion a takeover by buying an airplane in advance. In the 2010 HNA annual report, it still has unpaid long-term loans of dozens of billions of yuan which center on the airplane leasing business. During its startup period, the top management of HNA learned the secrets of airplane leasing from an international investor: an airplane, a sort of fixed asset, could be used as security for mortgages, and in the meantime, future profits of the airline could be pledged. Put simply, one airplane can be used twice to get loans from financial institutions. At the time, domestic banks accepted only fixed assets as guarantees, so HNA turned to international investment banks. Leveraging the financing pattern of "one airplane for two loans," HNA had secured over 15 billion yuan from domestic and foreign financial institutes by 2000. Large-scale purchases of airplanes and aerial materials are a significant financing tool, for loans coming due, and to sustain future acquisitions. Now the HNA Group is establishing partnerships with local governments by providing capital for land development upon infrastructure construction. Local governments benefit by the investment, while the HNA Group can expect profits and other investment opportunities down the line. The HNA Group has already signed cooperation contracts with hundreds of local governments, according to one source. Bohai Leasing Company, a holding of HNA Group, carried out a test case in urban construction with the Wuhu municipal government in the second half of 2011. The big context called for an ambitious plan, and the HNA Group, taking General Electric Finance Group as its model, formulated the Super X, aiming to create over trillions in total assets within five years. However, the former vice president of GE Finance Asia, Guan Liwei, cautioned that General Electric and GE Finance Group are two special cases of enterprise development that "cannot be copied." Capital Operation is a unique concept created by China’s domestic enterprises in 1990s. It refers to a particular operational tactic, which is that an enterprise uses its assets to reorganize and make exchanges with other enterprises or sectors, thereby realizing maximum profits and capital appreciation. In Guan’s view, Chinese enterprises have exhausted the single development pattern that fit the past context of a planned economy, and are busy developing a variety of alternative business models that work in today’s market economy. Guan warns, "Chinese enterprises should keep in mind that ‘capital operation’ is a high risk strategy."